Bullied, Bully, An Observer of Bullying. Which is Your Child? Most children are not bullies. 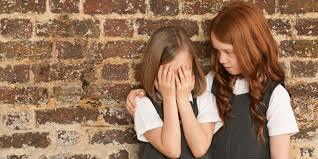 More children have goodness in their heart and yet bullying is a major issues in social groups like school. Children who choose that way of being find it gives them power and that power comes from the attention they receive. There are children that don’t need the approval of others to receive the power they seek, but those are not the situations addressed here. 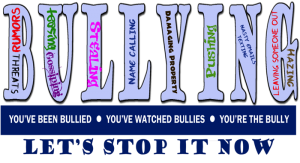 Is your child a bully magnet? That is painful for parents as well as the child. Kid Power has tips for helping your child develop an aura of security and assertiveness which may help them feel more self- assured and less vulnerable. Is your child a bully? Are you sure? Unfortunately tough kids are not the only bullies. In giving your child every opportunity you could, you may have inadvertently given the impression that they are more deserving and better than others, that those with less are inferior and need to be put in their place. Some kids are more aggressive than others, while some are unkind, even cruel just by the condescending faces they make or the hurtful “honesty” they share. Your child may also be surprised to discover that in becoming part of a group they longed for, they have crossed the divide between being a loving person and one who makes others feel uncomfortable. Children who are popular or in leadership roles too often fall into this category. True leaders help others become the best they can be, not make themselves feel powerful by putting others down. Children that have the natural ability to lead, need to learn this early in life so that their skills continue to grow. Leadership without empathy and caring will not take them far in their adult lives. Bullies may do physical harm or threaten with physical harm, humiliate, exclude, or in any way make another feel badly about themselves. Sadly, children believe that they deserve it, sometimes to the point of not telling their loved ones what they are going through. The ultimate sense of aloneness. Can you feel it? I believe it also produces an immense sense of shame that they can not share with those that love them. Is it a belief that the bully might be right? That parents will believe it too? It spans far more than an incident in the cafeteria or on the bus. It reaches their souls. The emotional stress needs to be taken seriously. In My Loving Self and Me the children encounter bullying in several forms from cruelty to outdoor critters, to face to face aggression. The poem “Will You Join Me” speaks to fear causing an inability to stand up for someone being bullied but not willing to participate. It acknowledges their feelings as well as encouraging an understand that they will work towards standing up for anyone being mistreated. Bullying is only one of the many issues that are addressed to assist children and their parents in My Loving Self and Me. All are helped by realizing the difference between living from their heart and living out of ego. Children need to learn to love, care and be sensitive to the needs of themselves and others. Their adults must be sensitive as well. Name calling or humiliation should never be a form of discipline. They learn what they are taught. Make it valuable. ← Technology or Nature? Can Kids Find a Healthy Balance?